Reunion attendees included, back row, from left, Fr. Ed Zelly, Rev. 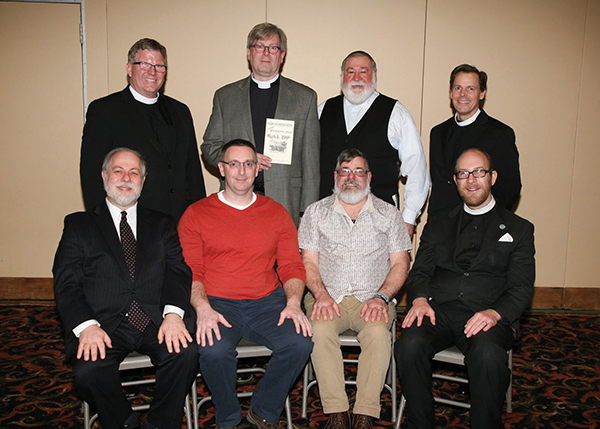 Jeffrey Roy, Rabbi Nathan Langer, and Pastor Dean Brown; back row, Rabbi Robert Pilavin, Dan Rozett, Pastor Joe Gratzel, and Fr. John Mason Lock. JANUARY MARKED one year since Jewish Federation in the Heart of NJ’s 2018 Interfaith Clergy Mission to Israel. To mark the occasion, Rabbi Robert Pilavin of Sons of Israel in Manalapan invited participants to a community dinner on March 3. 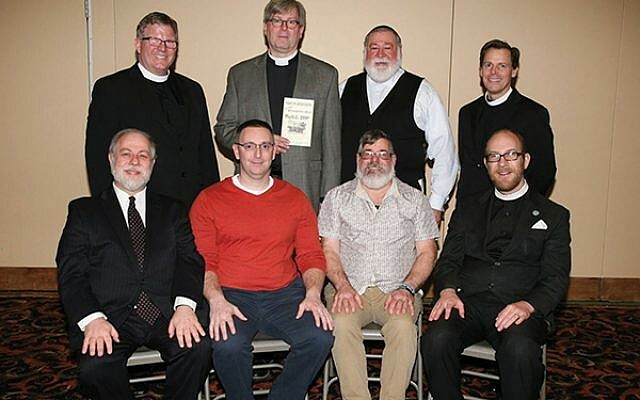 Federation is supporting a May 1 Interfaith Holocaust Remembrance program with the Metuchen-Edison Area Interfaith Clergy at the Jewish Community Center of Middlesex County in Edison.